The SR10 is a pressure compensated flow control valve which maintains a constant outlet flow by means of a control function. 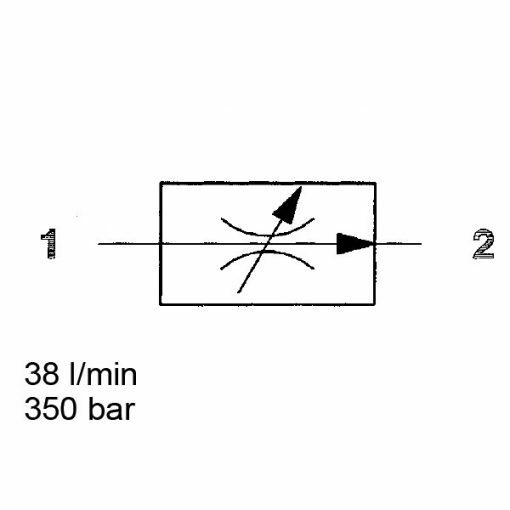 The flow rate is largely independent of the pressure and viscosity. The valve has a fixed orifice with pressure compensator spool. The metering orifice determines the setting range for the flow rate. It is also possible to adjust it within a limited range. If oil is flowing from 1 to 2, a pressure drop occurs at the metering orifice. Consequently, the pressure compensator moves into the control position which corresponds to the force equilibrium. 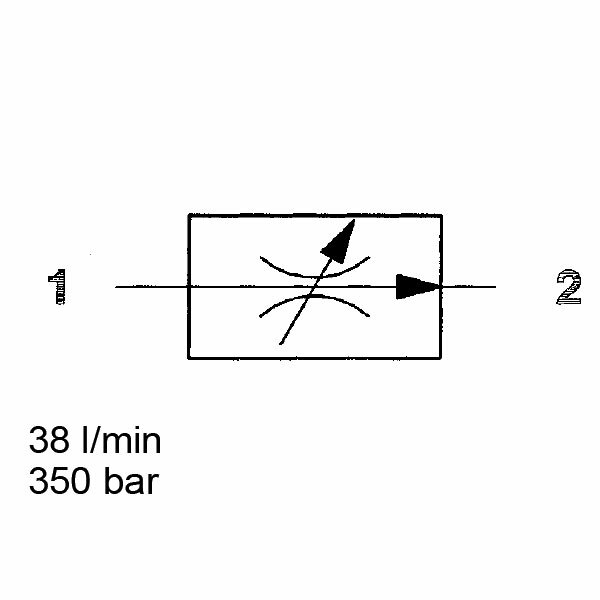 This is created by the pressure drop acting on the control piston area overcoming the spring force. Plus, as the flow rate increases (increasing pressure drop), it reduces the diameter of the control orifice until the forces are equal again. Therefore, a constant flow rate is achieved. In the reverse direction, there is free flow through the valve. Important: if there is no reach regarding the requirement for the control pressure differential, the valve operates as a throttle valve. Finally, adjustment of the flow rate can still be within a range limits.